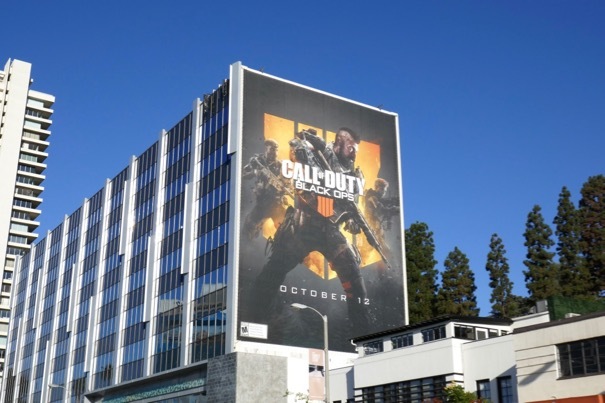 War, guns and video games make for big business, and with the Call of Duty game franchise you certainly get all three combined. 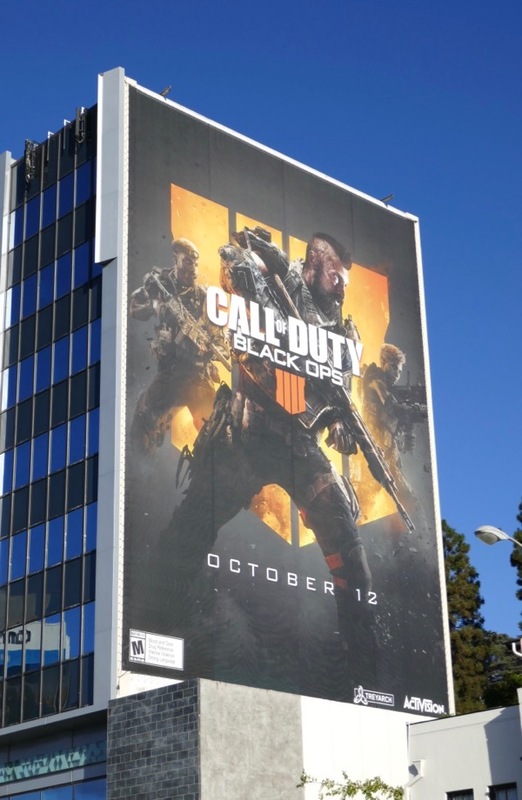 Call of Duty: Black Ops is back in action in the city skies for the multiplayer first-person shooter game where players engage in covert military operations and face zombies and battle royale Blackout mode using all the skills, equipment and weapons at their command. 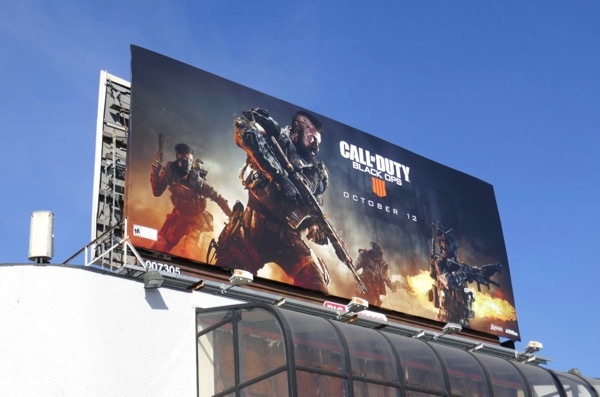 These arresting game billboards were snapped along Sunset Boulevard and La Brea Avenue from September 27 to November 2, 2018. 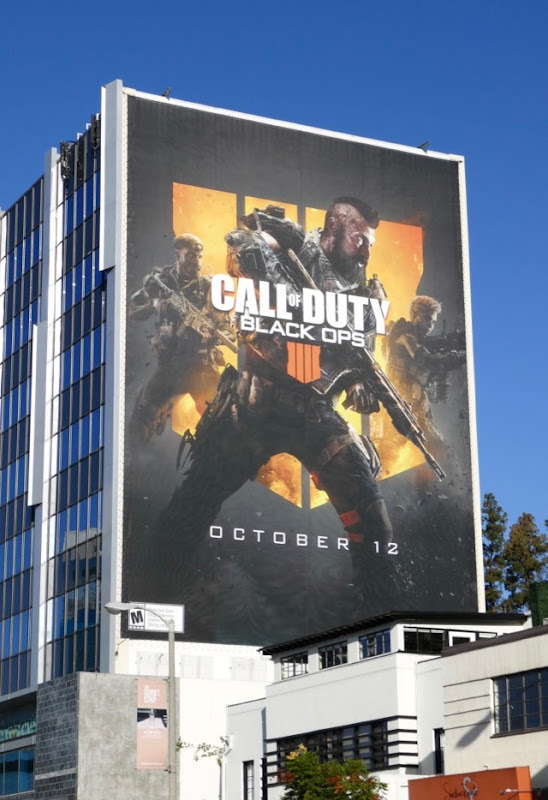 Fans of this video game franchise can check out all these previous Call of Duty billboards standing out in the city skyline in recent years. 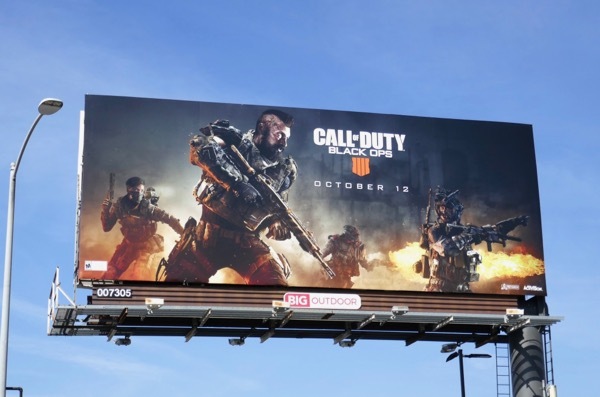 With Call of Duty: Black Ops 4 and Red Dead Redemption II recently released it's certainly been a great time for gamers these past few weeks. 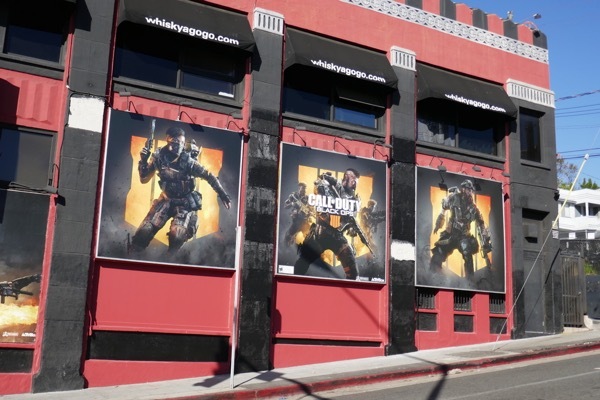 Enjoy the rest of your weekend (whatever game you choose to play).